Where is The Palms at the Lakeshore Estate? 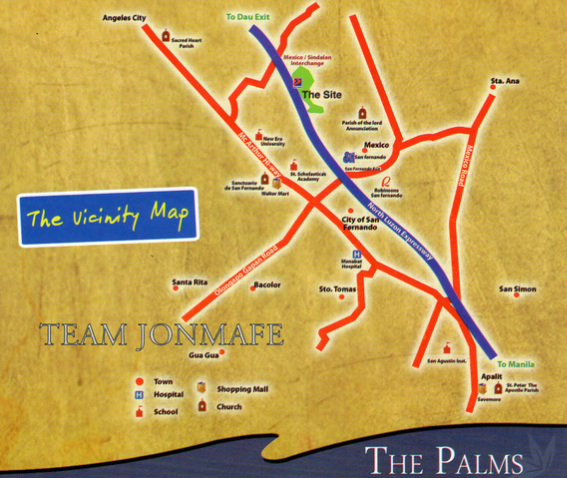 THE PALMS LAKESHORE is situated at the heart of an area which is the gateway to San Fernando City of Pampanga. You can live a comfortable distance from the city, but close enough to get you where you need to be. One can easily access transport terminals in the SM San Fernando area in less than 10 minutes, either by car or by riding the village's exclusive shuttle. In the immediate vicinity of the project are a good number of hospitals, schools and malls, including St. Scholastica's Academy, Manabat Hospital, Sanctuario De San Fernando, and of course, SM San Fernando and Robinson's Starmills. 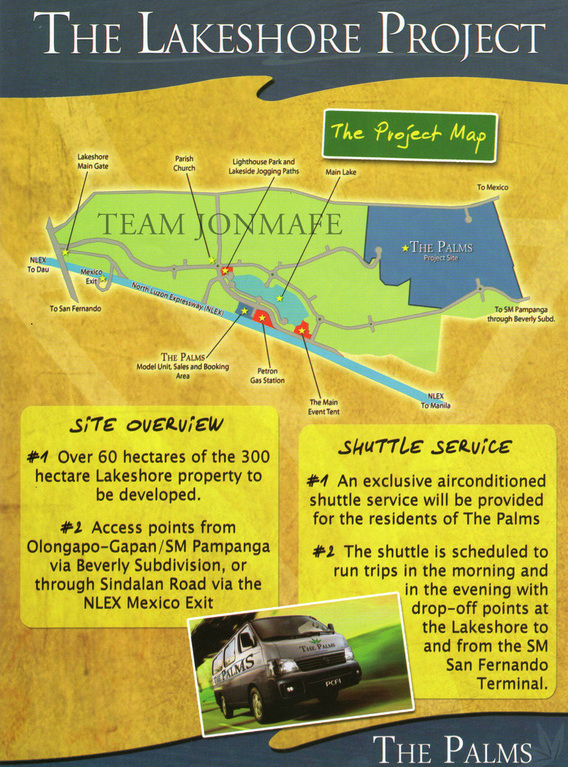 The Project is also less than 5 minutes away from the nearest NLEX EXIT, from where residents can easily access any place from Manila to Subic and Baguio.